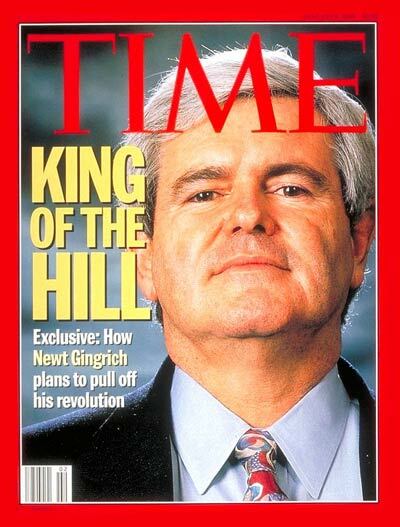 Although I was involved in local GOP politics superficially in 1993, Gingrich’s efforts and stunning victory in 1994 inspired me to get much more involved. So lacking the good sense God gave me, I ran for chairman of the Clark County Republican Party in 1995. And lacking the good sense God gave the members of the party at that time, they elected me. Frankly, they shouldn’t have. I had no idea what I was doing. But Gingrich, and his team who were running GOPAC at the time, produced a wealth of training material that helped teach me a ton of things I otherwise wouldn’t have known. And that inspired me to attend the Campaign Management College in Washington, DC that Gingrich and his top strategist, Joe Gaylord, were running in March 1996. Which ultimately inspired me to return to Nevada and do two things. First, I decided to run against then-Senate Minority Leader Dina Titus. I knew it was a race I wasn’t going to win unless she quit or got indicted. But I learned from Gingrich’s school how to run a credible campaign and was inspired to not let her have a free pass. Secondly, I decided I wanted to do in Nevada what Gingrich and Gaylord were doing in Washington: teach other inexperienced conservative newcomers how to successfully run campaigns and political organizations. So I started doing training workshops all over Nevada in places where no one else was going; places such as Ely, Elko, Winnemucca, Pahrump, Battle Mountain, Tonopah, Round Mountain, Minden, Fallon, Hawthorne and more. And that eventually led to doing such seminars and workshops all across the country for organizations such as GOPAC, the RNC and the Leadership Institute. The simple fact is it was Gingrich’s leadership and training that got me involved in politics and public policy to the level I am today. And indeed, there are tens of thousands of grassroots conservative activists all across the nation who, just like me, came into and have stayed with the conservative movement thanks to Newt Gingrich.